The state wrestling tournament is a wonderful time of year. In its own way it’s a type of holiday celebrated by thousands of people across our beautiful state, with a large part of the celebration taking place in Des Moines – specifically the Wells Fargo Arena (though plenty of celebrating goes on at the local watering holes around the arena as well…at least from what I’m told). This week will see 672 wrestlers step onto the line to wrestle a match at the state tournament. Each one of those wrestlers has their own story on how they got there. But after all is said and done on Saturday night only 42 of those wrestlers will stand on top of the podium in front of what will likely be a sold out crowd. Only 42 will be given a bracket to take home. Only 42 will be able to call themselves 2019 state champions. But the beauty of the state tournament is there is so much more to the experience than just who stands atop the podium on February 16th. As I said, each wrestler in this tournament has their own story to write. 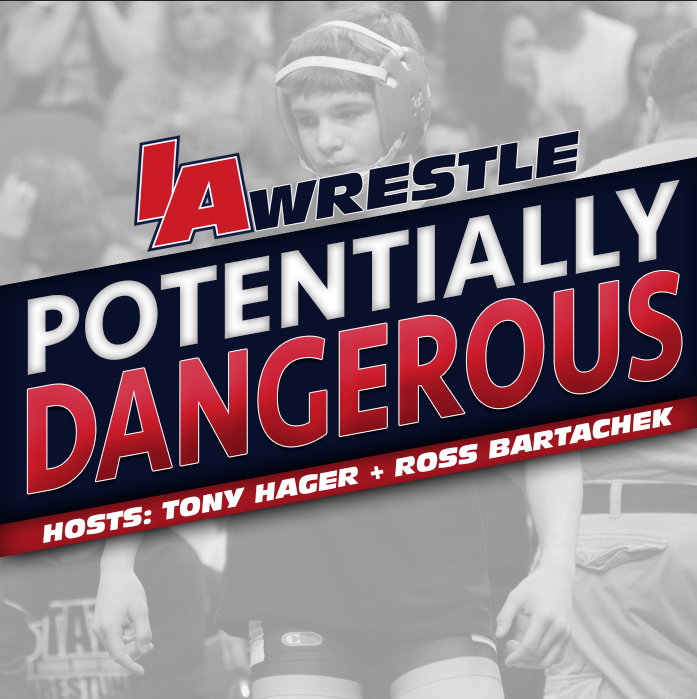 Many of these stories will emerge of the remainder of this week and if the IAwrestle crew has anything to say about it, we plan on bringing as many of those stories to the public as possible. For now we will focus on the big storylines as we head into the 2019 state tournament. With any luck the below is just a primer of what is a fantastic week this tournament has in store for us. Last year fans were rather spoiled in the fact that we got to witness two wrestlers enter our state’s history book as four-time state champions. All told Brody Teske (Fort Dodge) and Alex Thomsen (Underwood) are two of the best wrestlers to ever don a singlet in the state of Iowa and many are already looking forward to their future in the college ranks. But even though there are no wrestlers vying for a fourth state title this weekend, we still have four wrestlers that are on the journey to accomplish the feat. Three wrestlers are already at the halfway point: Adam Allard (West Sioux), Cael Happel (Lisbon), and Cullan Schriever (Mason City) each enter this weekend in search of title number three. Unsurprisingly this trio also finds themselves ranked as the top wrestler at their weight, making them the favorite to keep their quest alive. And each one has a pretty incredible set of circumstances. For Happel its a chance to join an elite list of wrestlers from his hometown of Lisbon in accomplishing the same feat. 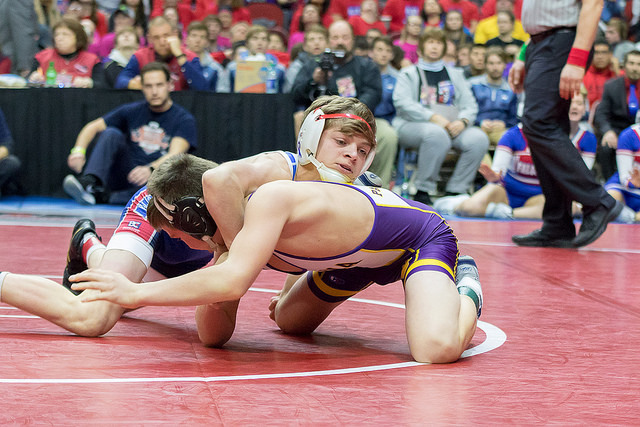 Happel could become the ninth wrestler from Lisbon, Iowa to win three state titles this weekend. Maybe an even better fact is that he stands to become the third three-time state champion in his own family. That’s some serious bragging rights. Then there is Schriever. No road to a state title is easy. No one at the state tournament is going to roll over just so another can have their moment in the spotlight. Wrestling can be a demanding and grueling sport that takes a lot out of the body. Because of that entering the postseason with your health at 100% is far from a given. That’s what will make Mason City prep Cullan Schriever’s journey for his third title that much more interesting. Considered a top college prospect (Schriever is already committed to wrestle for #3 ranked Iowa), Schriever sustained a broken ankle that has kept him off the mat almost all of January. His first appearance in over a month was at his District tournament, which he won, and now he will attempt to win his third state title under less than ideal circumstances. That leaves fellow two-time state champion Adam Allard of West Sioux. To this point in his career Allard has looked incredible his first eight matches at the state tournament. Being a Western Iowa wrestler, Allard’s exposure to the mainstream wrestling fan is limited, but when given the spotlight he has definitely shined. 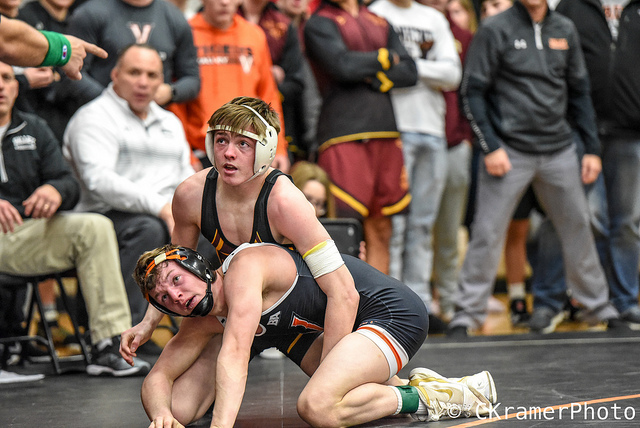 This weekend may give us the same results we are used to seeing from Allard, but that doesn’t mean that his matchup with the state’s #2 ranked wrestler, Daniel Kimball of Don Bosco, any less interesting. Kimball is returning state champion himself, and committed to wrestle for a Big 12 conference school next year (South Dakota State). Last there is Matthew Lewis of Centerville who was the only freshman to win a state title, to go to join the state’s all-time elite list, but he does enter this weekend ranked #1 at 113 pounds. While we have already mentioned that there are three wrestlers have an opportunity to win their third state title this weekend, another duo will also attempt to accomplish the same feat to close out their high school careers. John Henrich (Akron-Westfield) is one of those seniors and he enters the 1A state tournament as the #1 ranked wrestler at 160 pounds. Another Western Iowa wrestler that doesn’t get a ton of exposure to the masses, Henrich is quietly won his first two state titles, and as long as he medals this weekend it will actually be his fifth medal at a high school state tournament. Prior to his move to Iowa Henrich was a two-time state medalist in the state of South Dakota. Unlike Iowa, South Dakota allows middle school wrestlers to compete at the high school level. Because of that Henrich’s third place finish as a seventh grader and freshman, combined with his two Iowa state titles, already brings him to a total of four. The last wrestler hoping to win his third state title is Davenport Assumption star Julien Broderson, who won two straight as a sophomore and junior. 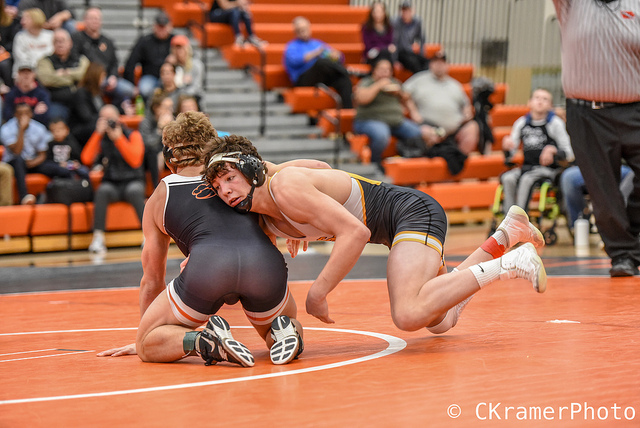 Given Broderson’s success it may be hard to remember that the Iowa State bound and nationally ranked Broderson failed to qualify for the state tournament as a freshman. Chalk that experience up to extremely good motivation as he has wasted little time on the mat over the last two years. Six other state champions from previous years will look to add to their resume this weekend, and all of them are currently wrestlers in the class of 2019. Kaleb Krall of Wapsie Valley won a state title back in 2017, and was runner-up last winter. 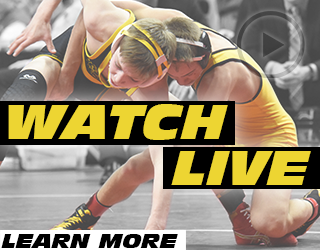 Others looking to claim a second title this weekend are Nick Oldham (West Des Moines – Valley), Andrew Flora (ADM, Adel), Cade DeVos (Southeast Polk), Lucas Roland (PCM-Monroe), and Gabe Pauley (AHSTW). Of that group of six half will enter this year’s tournament as the #1 ranked wrestler. Both Krall and Oldham are currently check in at #2 in our final set of rankings, while Roland slots in at #4. For Oldham it looks as though it will be a similar story to when he won his first title last February. 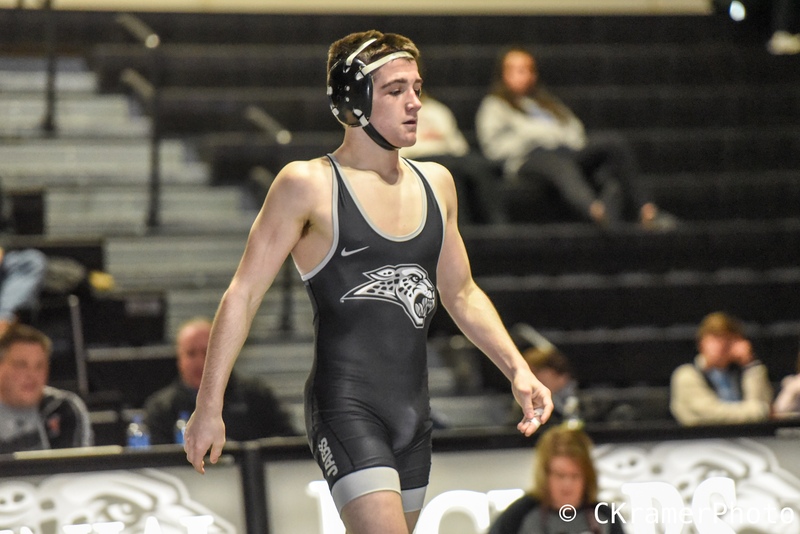 Entering the state tournament Oldham finds himself ranked behind a wrestler from Ankeny, sophomore Caleb Rathjen, who was his finals opponent in 2018. The Rathjen-Oldham match lived up to the hype last year, but so far this season we have seen Rathjen pull ahead of Oldham having won all three meetings this season. The most recent of the series was settled in overtime at the CIML conference tournament. The other big storyline for wrestlers looking to repeat is Krall, who is currently ranked second behind North Linn’s Brady Henderson. Like Krall, Henderson was a state runner-up last season. Oddly enough the wrestler that beat Henderson in the state finals was a teammate of Krall’s, fellow Wapsie Valley Warrior Donny Schmit. This weight intrigues me because you have one wrestler looking to return to the top of the podium and another looking for his first title and will likely need to go through a Wapsie Valley wrestler to get it. One of the more interesting things to watch this weekend will be this next group of wrestlers who have now come within one match of achieving their goal, only two be turned away not once, but two times. This next group of wrestlers features athletes who have already appeared in two state finals, but are still seeking the first title. This weekend a total of six wrestlers will be hoping that the third time is the charm. Jarod Kadel (Columbus Junction), Eric Faught (Clear Lake), Ben Monroe (Ankeny Centennial), Cobe Siebrecht (Lisbon), Kyler Fisher (Southeast Valley), and Cody Fisher (Woodward Granger). Depending how you slice it, Siebrecht and Monroe have certainly been unlucky in their career running into a multiple state champions in both of their appearances. Siebrecht was denied first by Adam Allard, and last year he was Alex Thomsen’s opponent. Monroe lost as a freshman to Cullan Schriever, and last year he ran into three-time state champion Kyle Biscoglia of Waukee. After reaching the state finals as a freshman, Faught has rated as one of the top wrestlers at his weight the last two years but Albia’s Aden Reeves knocked him out of contention as a sophomore, and last year he was upset in the finals by Shea Ruffridge. This year he once again enters with the #1 ranking. Cody Fisher was a real surprise in 2017 going from unranked wrestler to state finalist as a freshman, but West Liberty’s Bryce Esmoil ended his Cinderella story. As a sophomore Fisher made it back to the state finals, but once again was thwarted by Esmoil in the final bout. But now Fisher will enter the state tournament ranked #1 at his weight class and hopes to keep it that way. One of the other big storylines that will emerge later this week will be the award finalists for the Dan Gable Mr. and Ms. Wrestler of the Year. All finalists will be invited to the season end luncheon gala in late February, where a winner will be announced. While the Mr. Wrestler of the year has a long tradition it should be noted that this will be the first year a Ms. Wrestler award winner will be crowned. The final 12 finalists will be announced during the state tournament with the final polls opening for the fans’ input shortly after the announcement. Twice as nice should have began, Along with Kimball, because without, it looks like you overlooked,him. I love IA wrestle but the one opinion I have is when you guys write about the whole state you talk a lot about Western Iowa kids don’t get much media exposure, well isn’t IA Wrestle part of the problem then? Shouldn’t you be doing more to help make sure the top kids/programs over in Western Iowa get that exposure? 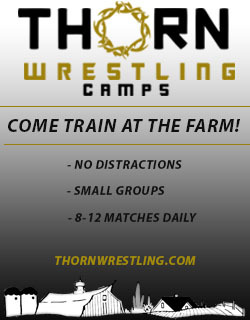 You can’t find anyone in Western Iowa to join your IA Wrestle team or write pieces for you? Or cover tournaments or dual over thete? Or maybe do more interviews at state with Western Iowa kids/coaches so people do see their face and recognize them and get more familiar with them? Just some thoughts for next year. Thanks for all you guys do! Hi – I appreciate your input and you are in fact correct, we are part of the problem. We are also working to be part of the solution. Last fall we posted a job position on our Facebook page for a Western Iowa correspondent and got zero applications. That’s frustrating when we know there are some really good stories that come out of that portion of the state. 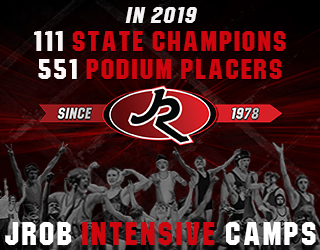 Right now we are working with what we have and we will continue to strive to find someone that can come into IAwrestle with knowledge and the willingness to cover Western Iowa. Tony and I have talked several times before on our podcast acknowledging the fact that Western Iowa doesn’t get the attention it deserves, so we are in now way not taking our share of responsibility. We will continue to mention this issue in hopes that we will find someone in our search for a Western Iowa correspondent. Thanks Ross! You guys do a heck of a job and I understand there is a lot to cover. Glad to hear you guys are trying to find solutions! The state of Iowa is lucky to have the IA Wrestle team!! I agree to that point, teams like Missouri Valley, Underwood, Logan, West Sioux, Woodbury Central, Spirit Lake Park ,Bishop Heelan, and Sergeant Bluff Luton always seem to have some hammers/good teams as of the past few years as well as some individuals such as Akron’s Henrich that don’t get the media attention they deserve. I understand resources are limited and you can’t be at every tournament/dual during the season across the state but can’t we find someone in Western Iowa to cover these teams and athletes for IA Wrestle?